With a big swoooosh, wicked news are coming up: the tenth release on our little label is ready for take-off. The greenhorns are growing steadily and set up a way more "sly fox'ish". 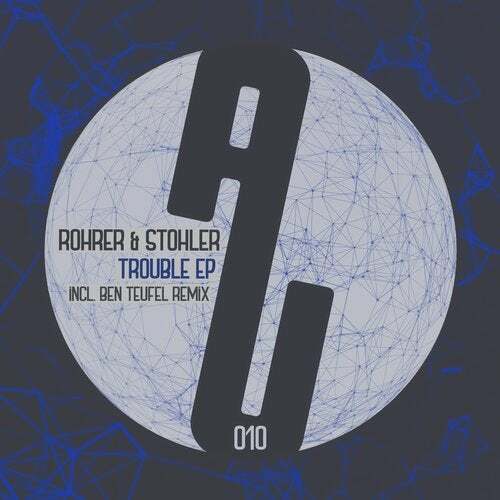 Protagonists of the upcoming "Trouble EP" are the charming Swiss bound ROHRER & STOHLER, smashed with a remix by BEN TEUFEL - all underlining the labels signature sound! Bang. With "Trouble It", the spark has skipped over. It's the chameleon of the tracks and nothing less than an unexpected wild trip. Pretending to be a deephousy tune in the beginning, it turns out to be a mighty storm with a mindblowing siren-like sequence which strips off everything. Geniously the two different hooks melting together at the end, so better get ready for a 100%% sweaty thing! Nurnberg-based Ben Teufel is responsible for the remix and a real whizz-kid with an enormous output on countless labels. His very own Antura Records has become an essential part of todays Techhouse and Minimal/Deeptech scene with constantly delivering high quality stuff straight for the floors. He's a master of the groove and that's why he's exactly at the right place for this. Adding a heavy rolling sub bass and putting some massive drops on the thriving sounds are his methods for this brilliant reinterpretation. The beaty path follows up with "Touch" and knocks with a stompy and techy kick. But that's way off the mark to where this orginal mix goes to. A sneaky and thrilling synth chord is leading straight into mind and terminates in a highly flashin' moment. Off the hook! The third original track "Loft In Space" is a rhythmic tribute to the good times in Berlin. Excellently arranged with a boosting bassline and clear tribalistic cuts, this piece will bring the tap shoes to move and gives this EP the optimum for an extraordinary dance and listening experience.